The Peak Towers is a 30 floor, high rise residential building, situated in the Cozy Beach area of Pratumnak Hill; highly sought after as a prime location. 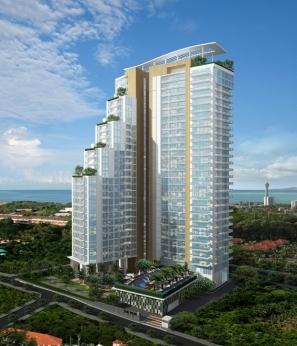 It is a new condominium project offering many benefits, including spectacular Sea & Ocean views all around. High quality luxury apartments with affordable payment plans allowing you to make this dream come true. When considering a luxury residence Pattaya condo, whether for personal indulgence or as investment property, then one surely has to consider The Peak Towers.